Treehouse accommodation is big business. 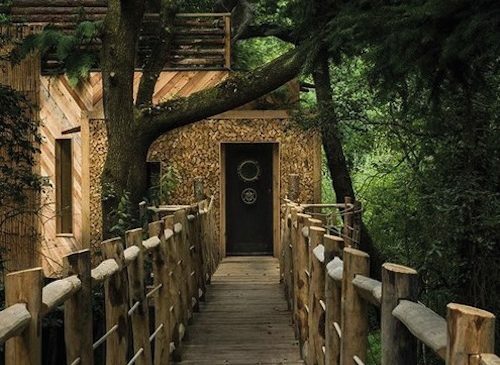 Brian Chesky, the CEO of AirBnB, which takes care of the marketing of over 1,000 treehouses and thousands of conventional properties across the world has stated that treehouses offer the greatest return of any of the properties on their books. 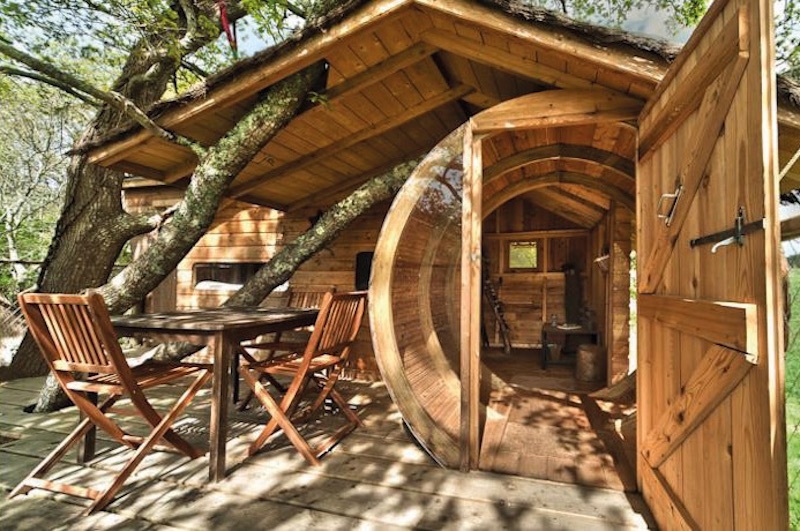 For the first time since the inception of AirBnB over ten years ago, Treehouse Accommodation will become a stand-alone category. This is a significant statement from a company that has quietly become the largest accommodation provider in the world, who have already welcomed over 200 million guests and now turn over $31billion, with no end in sight to the rapid growth. 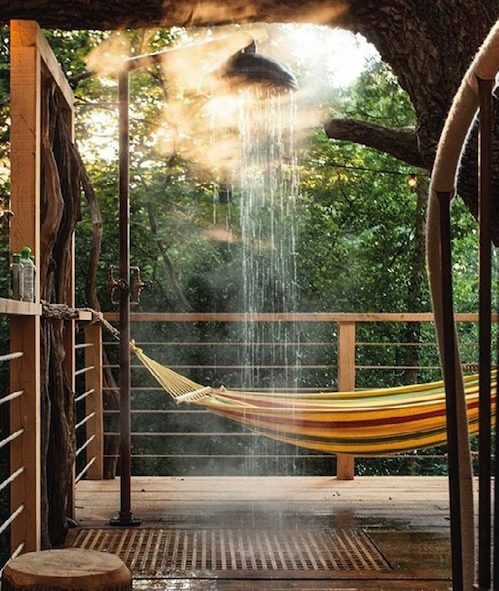 But why do we, as adults love treehouses? For adults it allows us to revisit the dreams of our childhood. Maybe we didn’t all have the perfect treehouse when we were young, but in our minds it could well have been part of our childhood dreams of fun and adventure. But where did the dream of treehouse living start? 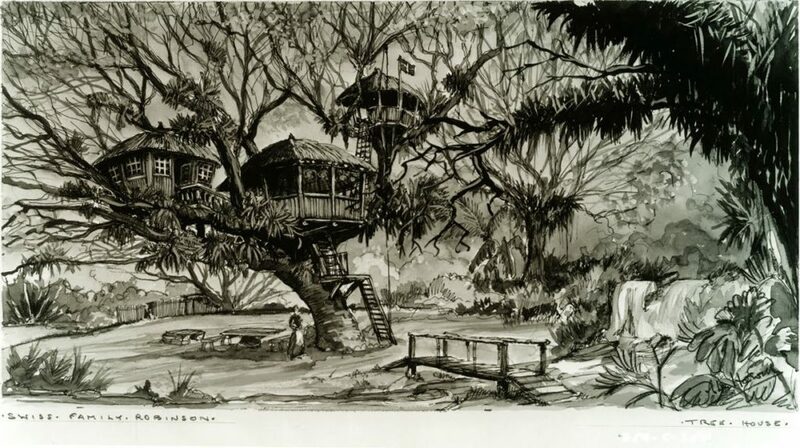 This is hard to pin down, but perhaps it was the famous Swiss family Robinson that set the whole tone of a family adventure together whilst living in a treehouse. Written by David Wyss in 1812 as a way of teaching his children family values and an understanding of the world around them, it went on to become a classic film in 1960 and really caught the world’s imagination. In the adventure tale, a family who are travelling together on a sailing boat and sheltering in a ship’s hold to weather a storm, find themselves alone and close to a beautiful tropical desert island. Complete with a hold full of livestock and provisions (lucky that!) they spend the next ten years adventuring on the island, whilst living in a huge thatched treehouse spread over many levels and interlinked individual structures. 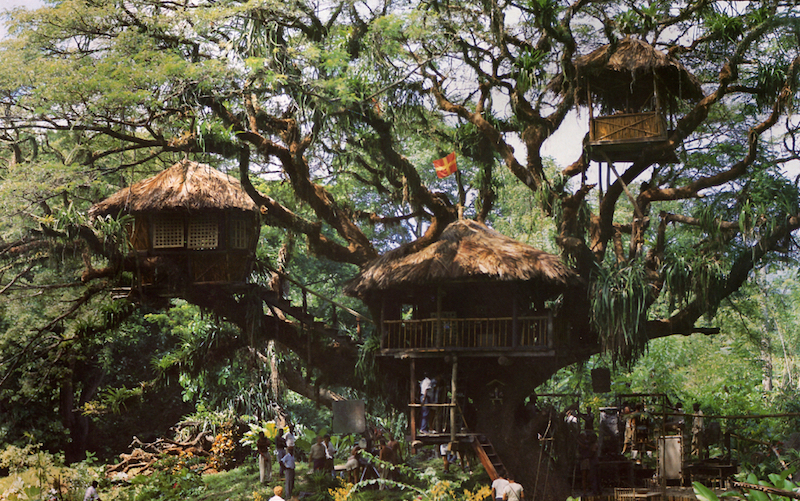 In reality, the treehouse for the film was built in a giant living Samaan tree in Goldsborough on the Caribbean island of Tobago and still stands today, almost 50 years later. It has been much copied and is now a popular centrepiece in Disney resorts around the world. Sadly the Disney version is a poor plastic copy of the real thing and has none of the tactile, warm, welcoming feel of a real treehouse. George Lucas gave us even more treehouses with his beautiful Ewok settlement in Bright Tree Village. Set 15 metres above the ground, it was home to 200 of his Ewok creatures, with thatched huts that were connected by vines, rope ladders, bridges and catwalks. There are treehouses all over in literature and film. A couple of our favourites are the super simple structure built by Atticus Finch for Jem in To Kill a Mockingbird and the Awesome Treehouse in Stephen King’s 1986 film Stand By Me. Roald Dahl’s The Minpins is another memorable example of creative dwellings in the trees, where exploration leads to adventure. But the common factor in all is that they all feature as an escape, a place to hide, play or relax with friends – out of reach of and out of sight of convention. 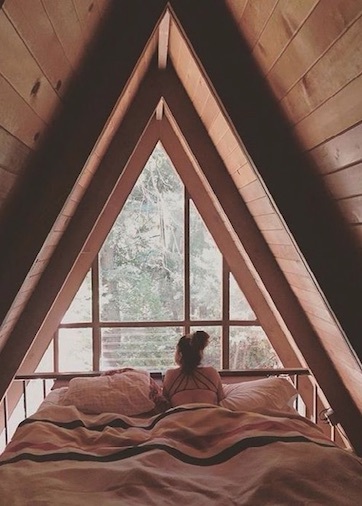 Why is treehouse accommodation so relevant today? We all need to dream, to relax and to get away from the humdrum of everyday life. The treehouse gives us this. It’s a step away from reality but rarely one that takes us outside our comfort zone. It’s a trip back through our childhood fantasies to a place we remember when the summers were longer and the sun always shone and our friends were our best ones and always forever. 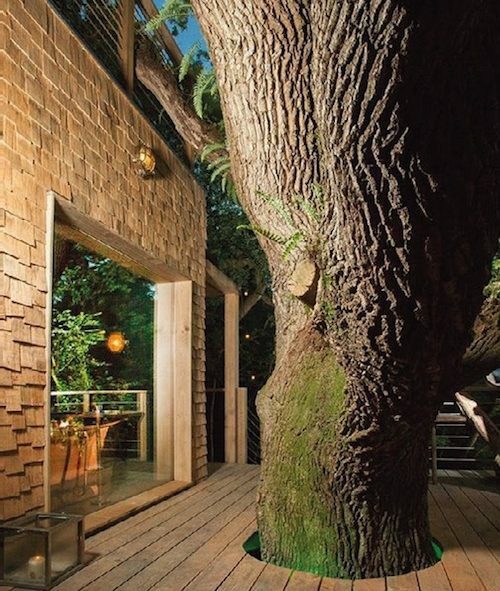 Treehouses bring nature to your doorstep. The singing birds, the swaying branches and the shady canopy all lift you, literally, above the normal view. Our most distant ancestors sheltered in trees safe from prowling wildlife and rising flood waters. 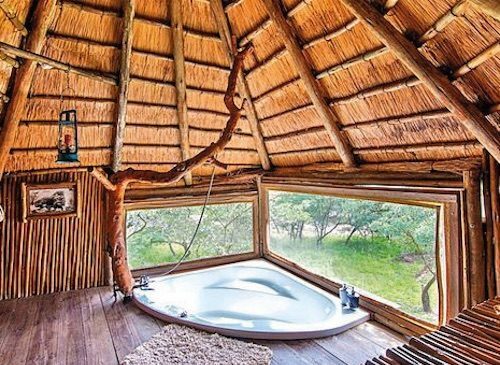 Whilst few of us need a treehouse for such basic needs, the feelings a treehouse can bring throughout the seasons – of being amongst the branches with the smells, sounds and the big skies – connect us with this past, satisfying our primal needs and helping us understand our place, and maybe even our significance, in the world around us. 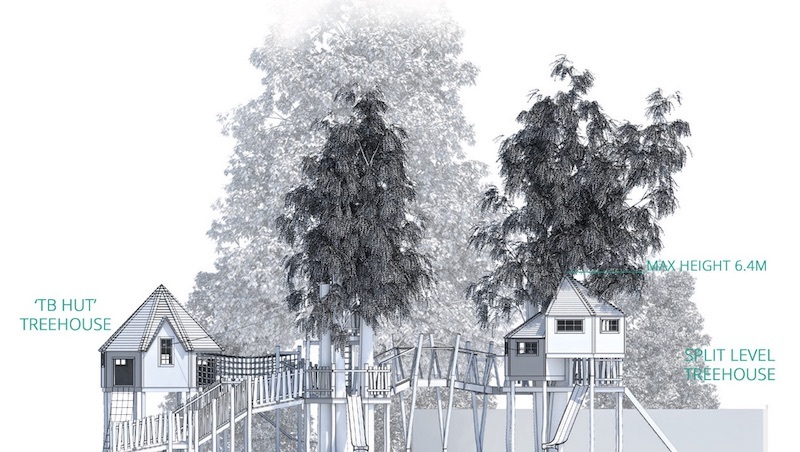 Our expertise in commercial treehouses and adventure play is almost unrivalled, and we have increasingly been scoping, designing, managing the planning process and creating remarkable adventurous places for commercial operations across the UK and the rest of the world. Why choose CAP.Co – Creating Adventurous Places? 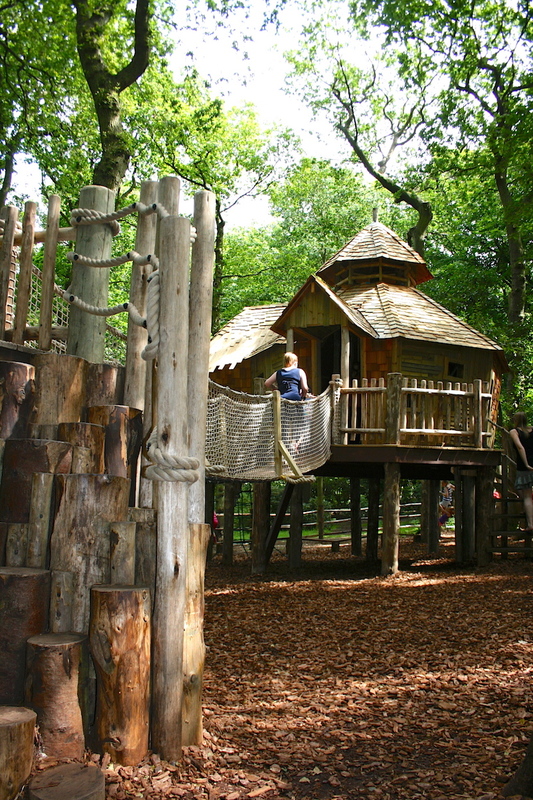 Our experience in outdoor adventure play and treehouse construction stretches back over 15 years. 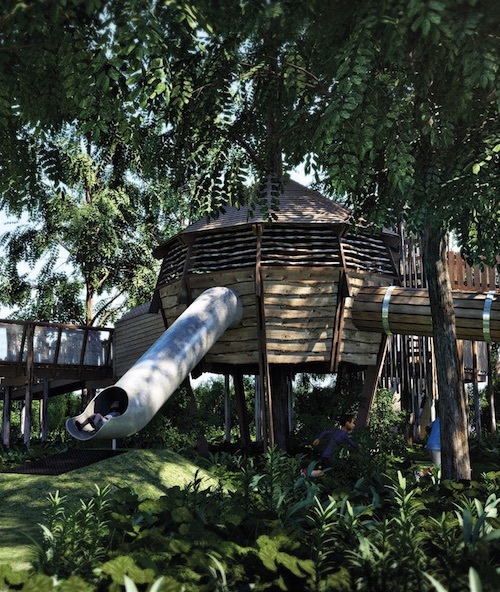 The core of our team were pivotal members both at The Treehouse Company, creating some of the most stunning treehouse structures throughout the world, and in the design and development of the award-winning BeWILDerwood, a treehouse adventure park. 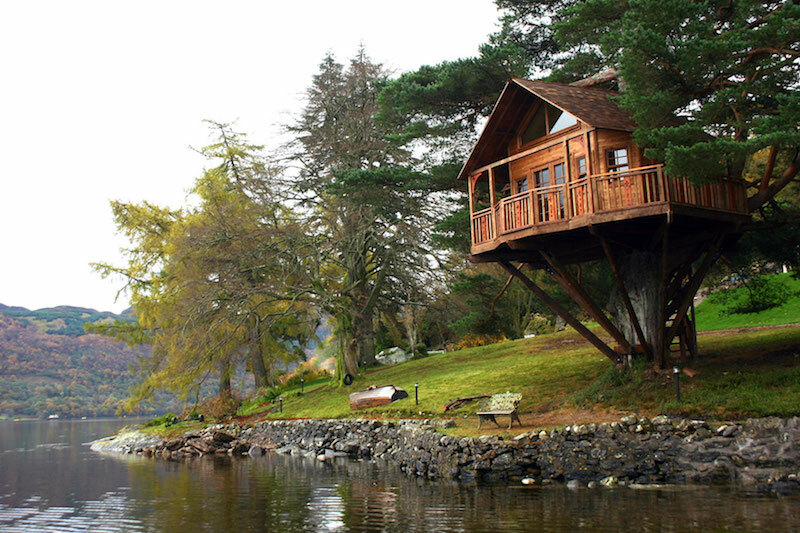 In 2014 we formed Creating Adventurous Places Ltd, built out of a love of adventurous outdoor spaces and the dream of focusing on more exciting projects with an international reach. This core team remains the same with our collective now expanded to include artists, designers, landscape architects and carpenters, bringing together a wide range of complementary skills. We’ve even got experts in financial modelling for attractions, F&B and treehouse accommodation to ensure that what we say is deliverable in the real world and our claimed ROI is a realistic and genuinely deliverable ROI. The numbers make great business sense as both the rates chargeable and the occupancy rates are amongst the highest, if not the highest, of anything in the accommodation sector. These would be built along with central servicing facilities and an allowance made for provision of services to each of the units. Costs are very much dependent on the location, accessibility of services, style, level of finish preferred, and of course the overall size and height above ground. Our designs naturally lean towards being more family oriented and playful, so there may even be a slide for speedy exits, swings (both inside and out!) and other exciting adventurous play features hidden on, around and below. The constructions would be beautifully finished with high-quality materials and well equipped with home comforts and quirky detailing to further add to the unique experience. Occupancy rate of 41% – which equates to only 150 days per year – giving a complete payback within 60 months. Occupancy rate of 60% – which equates to 219 days per year – giving a complete payback within 41 months. Occupancy rate of 80% – which equates to 292 days per year – giving a complete payback within 30 months. For an idea of both real occupancy rates and prices being achieved by existing operators, here are a few websites for interest and comparison. The booking pages of the sites give a sense of rates, availability and occupancy. 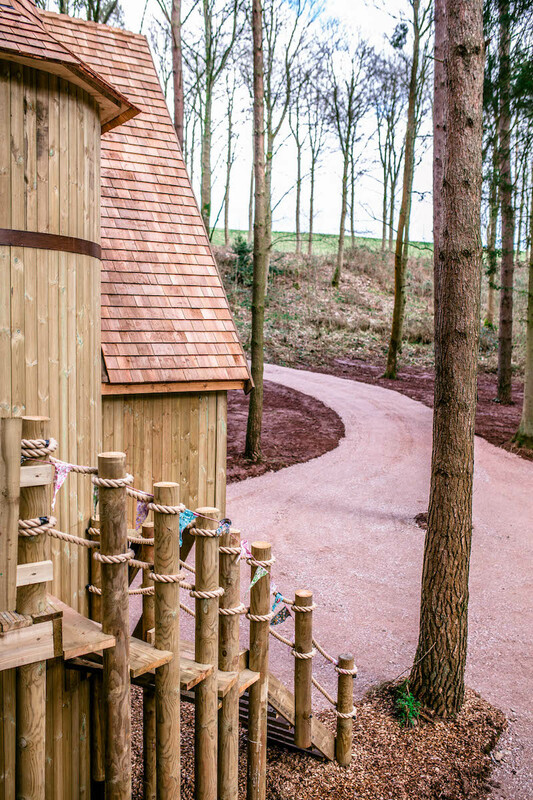 Treehouses, well finished and insulated to protect against all weathers, with the addition of wood burners, soft blankets and winter comforts, can ensure high occupancy throughout the year – allowing the treehouse to become a cosy castle in the sky, all year round. 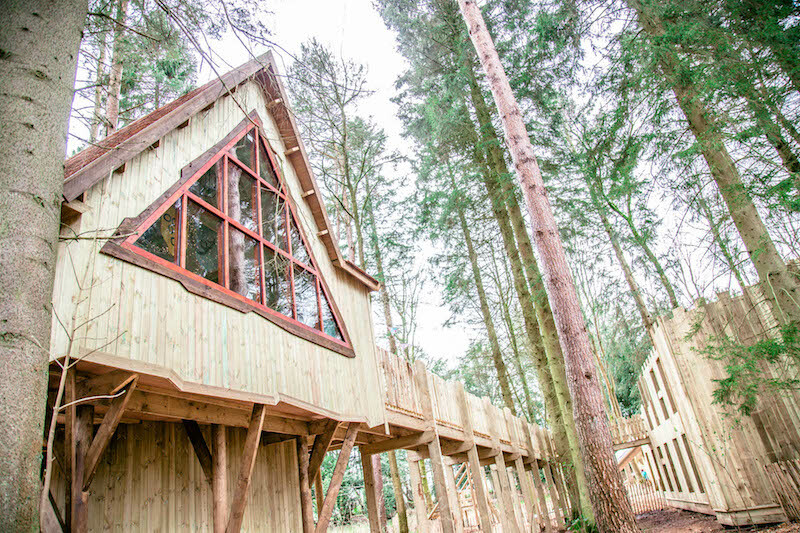 In a world where everyone is looking for something fun, memorable and different, we believe that treehouse accommodation can offer an exciting, alternative and adventurous experience! 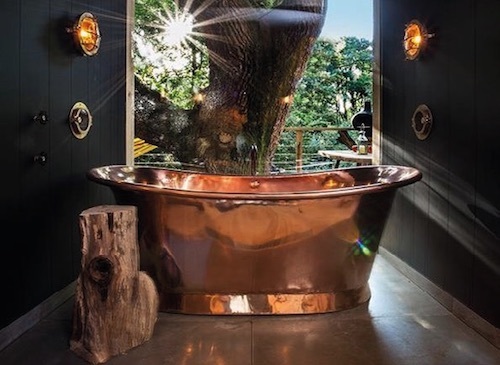 We see a real opportunity in treehouse accommodation, and we’d love to help you create the setting for your own adventure with beautiful bespoke accommodation experiences tailored to your place.